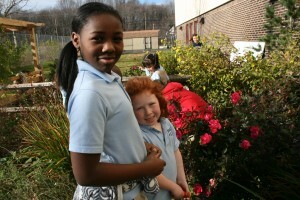 Students in grades K-12 have access to our outdoor classroom which consists of multiple seating areas, a classroom like structure, edible plants and a water feature. Teachers utilize this space to execute a variety of lessons and offer our students education beyond the classroom walls. 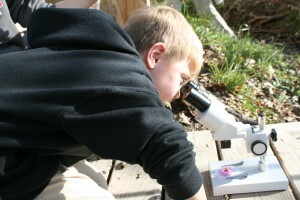 The outdoor classroom is a usable, dynamic, outdoor work area that is used by students of varying grade levels, allowing students to interact with and collect data from the local ecosystems. 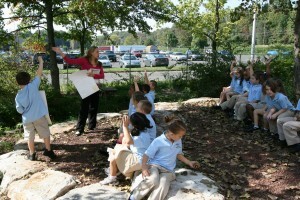 The ‘outdoor classroom’ concept was achieved through a Department of Environmental Protection grant.